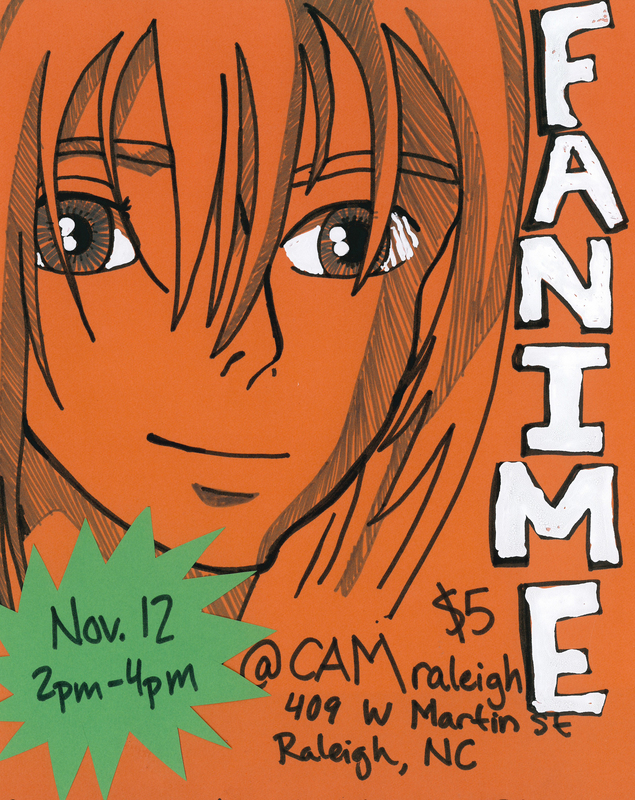 Join your fellow teens in an afternoon of shameless anime fun! Check out your new museum for contemporary art and design while enjoying a FANime fest like no other. Bring in your own anime art and display it in the museum AND check out other local teens work as well. Sharpen your drawing techniques and meet other local teens who share your passion for all things anime. 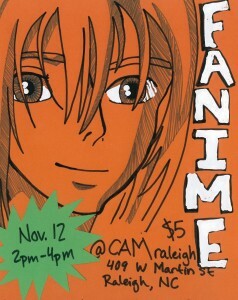 This event is organized by the CAM Raleigh Teen Council. This event is included with paid admission to the museum. General Museum admission is $5. CAM Raleigh members, children 10 and under, members of NARM and Mod/Co, and NC State students, staff and faculty are admitted free. Student memberships to the museum are available for $25.